Situated in the heart of Gangtok city. 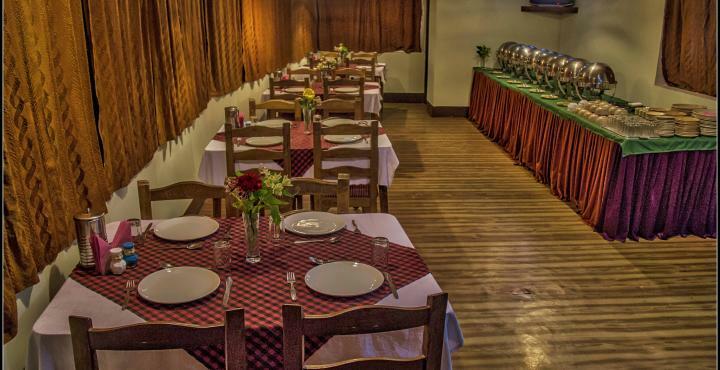 Tseka Residency with the beautiful views of the undulating hills, valleys and the kanchanjangha peak aims at providing guests with the best of care and comfort to make everyone feel at home here in Gangtok.Gangtok is a popular Buddhist pilgrimage. Guests can ar rive at the property by Bagdogra Airport and Jalpaiguri Railway Station which are at an accessible distance from the hotel. Currency Exchange, Breakfast Services, Backup Generator, Security Guard, Baggage Storage on Request, Travel Counter, Airport Transportation, Laundry Facilities, Doctor on Call, Family/Child Friendly. Attached Bathroom, Iron/Ironing Board, Cable/Satellite TV, DVD Player, Room Heater, Television Room, H/C Water, Moisturiser, Bottled Water in Room, Toothbrush/Razor on Request. User reviews for "Tse Ka Residency Hotel Gangtok"